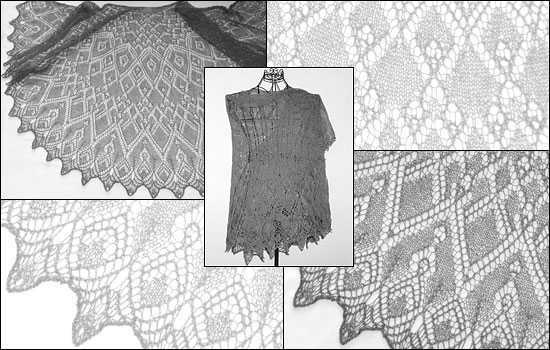 *MiaBella* is a halfcircle-shaped shawl knitted from the middle of the neckline outward. The pattern includes instructions for a half circle (4/8) as well as 5/8 of a circle. The shawl is patterned all over. The chart contains hints on the placement of seed beads. Using beads is optional - *MiaBella* looks great with or without them!